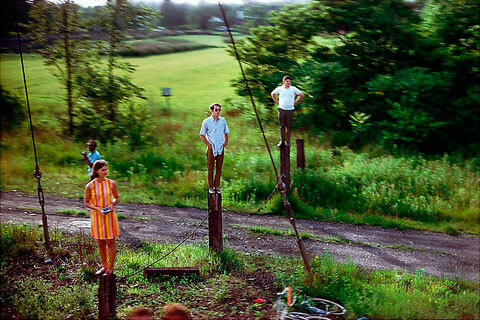 I happened to view this beautiful media slideshow via The New York Times about Paul Fusco’s photography over the weekend. I discovered the slideshow from a post by fellow Montreal photographer Allison Staton. 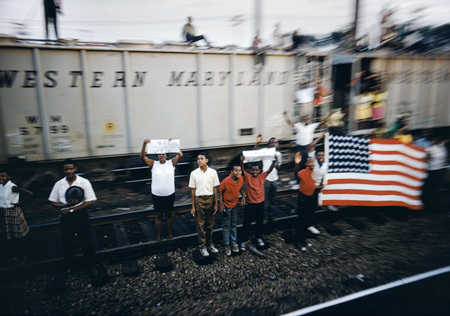 An interesting insight in American history, Paul Fusco, a photographer for Magnum, reminisces about his journey on the train carrying Robert Francis Kennedy’s coffin from New York City to Washington. 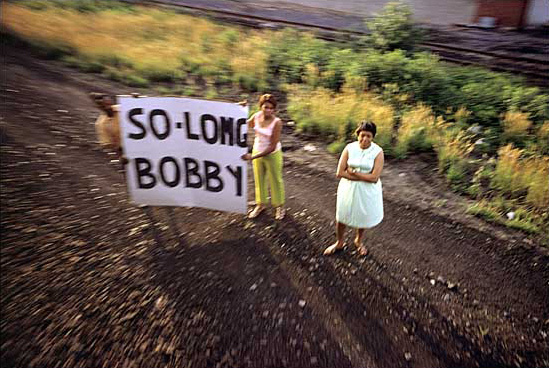 The photographs, all shot aboard the train with Kodachrome 35mm film, capture a country in mourning with images of people gathering near the tracks to honour the life of a dedicated statesman who was assassinated on June 5, 1968.